Home repair Motorola and iFixit - On site repair! 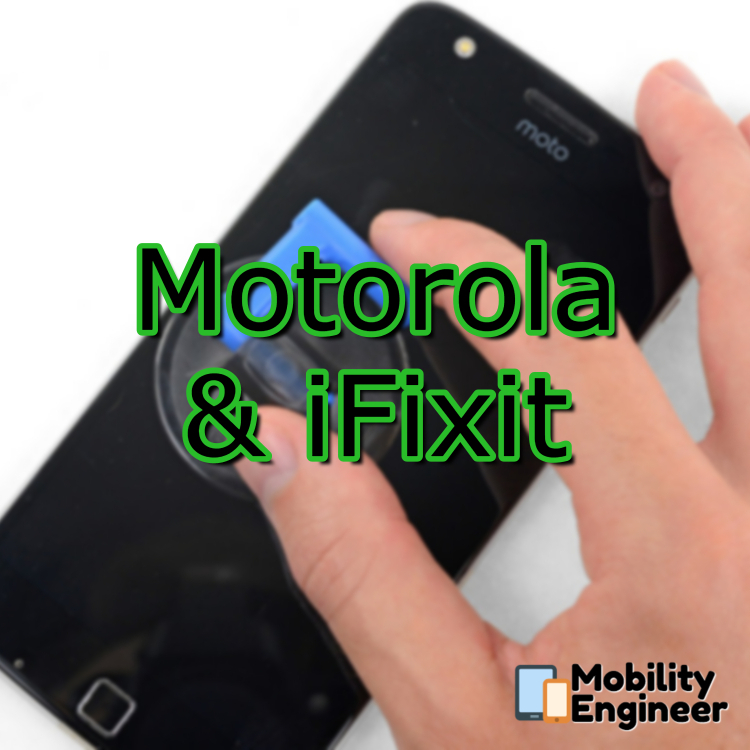 Motorola and iFixit - On site repair! At one of my previous jobs, I managed smartphones for employees that only needed the basics - email, web browsing, GPS, and calls. Nothing that requires the latest devices (except C-Level staff that wanted the newest iPhones before Apple even announced them, Thanks TechCrunch...). To cut cost, I suggested that we (being a team of one, me!) start refurbishing phones. iFixit made it very easy with mobile repair kits and video instructions offered for the Apple and Samsung devices we used in our environment. Mall repair kiosk and some 3rd party parts distributors most likely use refurbished or replicas of screens, buttons, batteries. Motorola and iFixit are here to change the game. Motorola is the first OEM to supply iFixit (or any DIY customer) the parts needed to fix a phone. Although Moto has changed hands a few times since I had flip RAZR phone, post T-Mobile G1, I have always used Motorola devices. A few months ago I purchased the Moto X4 from Amazon. I already use Amazon apps so saving money and having them preloaded did not bother me. I also like to hold on to my devices for a while and this one supports Google's Project Fi, in case I want to move in the future. I can hold onto this even longer now that I can possibly change the battery or screen if needed. I do wish I could add some storage space. Anyways, I see future workers in IT mobility having to provide this service. At the minimum, the ability to solder back on a data port to remove any needed info.